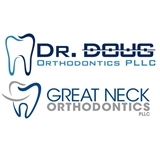 Douglas Palaganas DDS (Great Neck) - Book Appointment Online! At Dr. Doug Orthodontics we have built our practice around a unique practice vision. Due to our economy, orthodontic practices all over our area have been focusing more on the “business” of orthodontics, rather than the “practice” of orthodontics. Dr. Doug believes the focus of a truly successful practice needs to be on the patient. Our focus is not only on personalized, state-of-the art orthodontic care, but also on providing a top notch patient/family experience. This patient experience depends on Dr. Doug taking the time to get to know his patients and their families, so he can provide the appropriate, individualized care. We want our patients to feel like part of our family. This is not an “assembly-line” type practice where you see the assistants more than you see the doctor. While Dr. Doug believes in cutting edge diagnostics and treatment; utilizing the lowest dose digital x-rays, no-radiation digital models and the most up to date treatment options, he also believes it is even more important to be readily available to all his patients at every visit, to discuss progress and answer any questions for patients and parents. We strive to “be the best” for our patients, because Dr. Doug believes if we are successful at all the above, that our patients will not only refer others to us, but that they will be our biggest fans, and that they will go out of their way to tell their friends and family about our practice! Dr. Doug Orthodontics was established with the belief that if we are successful at staying committed to our vision, that the “business” of growing our practice will largely take care of itself, which allows us to continue to spend our time and efforts on our amazing patients and their care! Today's visit was just for consultation for my daughter. We liked the office - very kids friendly and staffs were also nice and friendly. Dr. Doug was very informative and really took his time to go over what's involved in details. Overall, we're very happy with them and look forward to the next step!